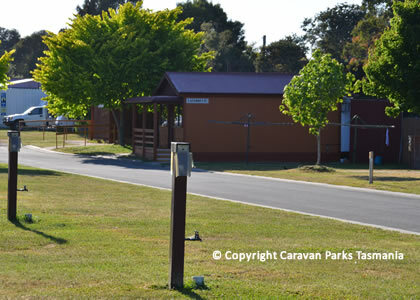 The Latrobe Caravan Park features ensuite styled amenities and flat level parking. 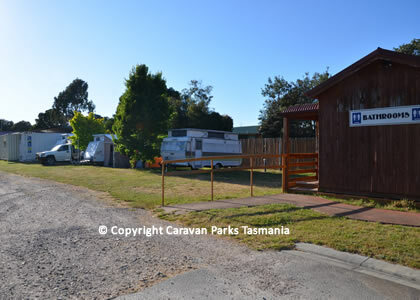 This is a newer Caravan Park and together with the quiet, pleasant surrounds and the ease of access to the town, makes this park a very pleasant experience for the weary traveller or a family camping holiday. 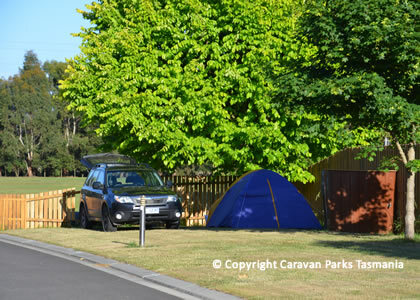 Latrobe Mersey River Caravan Park is located at Bells Parade Latrobe, near Devonport. 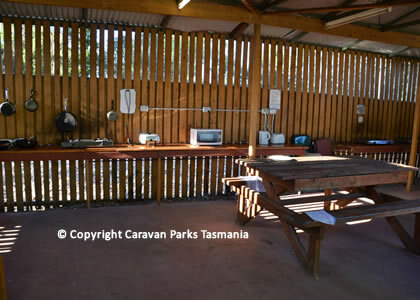 The park is centrally situated on the north west coast of Tasmania and is ideally located for caravan touring, backpacking the Tasmanian Harvest Trail or trout fishing in the central highlands, where you will experience world class trout fishing. 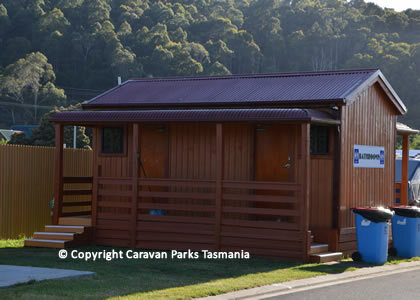 You can easily drive to the Spirit of Tasmania Ferry Terminal in around 8-10 minutes. 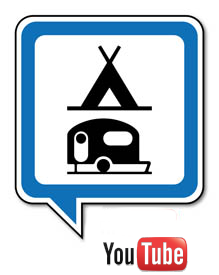 The Cradle Mountain Lake St Claire National Park is located app. 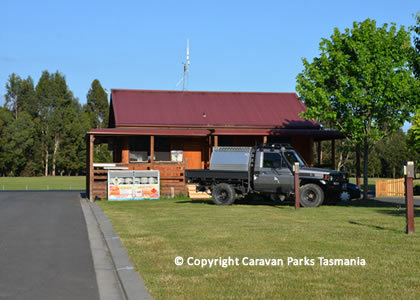 45 minutes away by car, the Central Highlands Trout Fishing Lakes can be reached in 50 minutes, Launceston in around 75 minutes and Hobart in 2.5 hours. 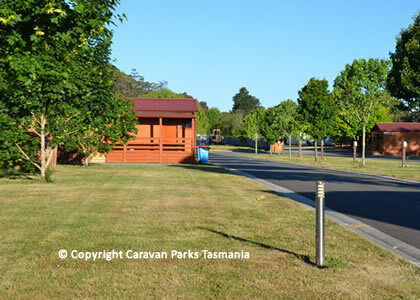 A Landcare group has created tree-lined grass pathways alongside the river where Platypus work the river banks searching for food at dusk and early morning and can be easily observed going about their routine of diving and rising in the shallow edges and eddies. 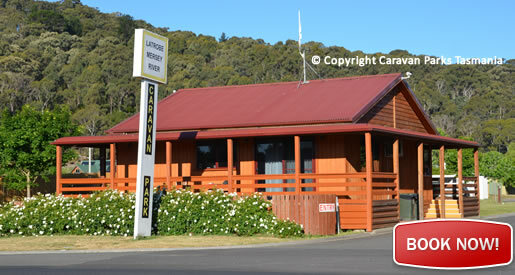 The Latrobe caravan park offers ensuite styled unisex amenities, state of the art laundry, camp kitchen, 40 powered and 20 unpowered flat level grassed sites along with quiet, pleasant surrounds, ease of access to the township of Latrobe, and the security offered onsite managers make this park a restful and pleasant experience.